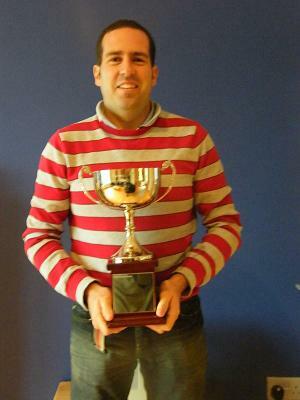 Congratulations to Barry Byrne who was last night crowned Club Champion. The club championship rewards the person who best exemplifies the club’s core values of participation and improvement in our sports. Throughout 2009 Barry participated in no less than nine events, improving all the way through sheer determination and effort.